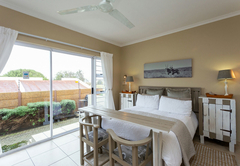 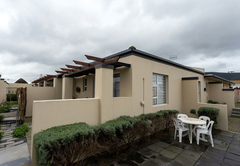 35 on Mentz is a property providing self catering in Panorama for tourists visiting the Northern Suburbs region. 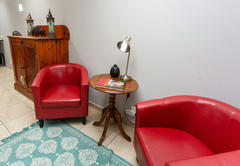 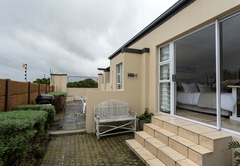 Situated in the heart of Panorama, 35 On Mentz provides accommodation that is ideal for the business traveler or for individuals who need to be within close proximity of Panorama Medi Clinic. 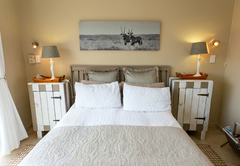 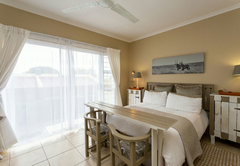 The rooms are furnished with a double bed and have an en-suite bathroom. 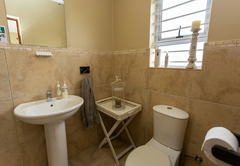 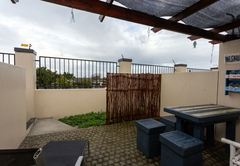 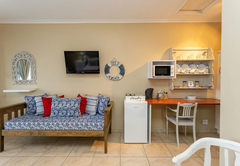 Complimentary tea and coffee is supplied and there is a communal braai and kitchen area for guests that prefer self-catering. 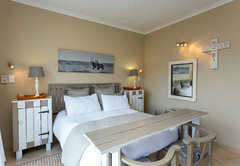 The Karoo Room is a small cozy room, with stunning views and a place to relax or have some quiet time to catch up on work. 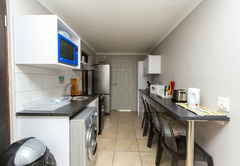 There is a microwave, coffee corner and bar fridge with honesty snack bar. 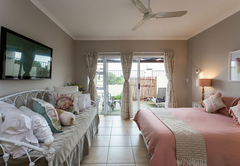 This is a very spacious room with a private patio and a daybed suitable for children up to the age of 12. 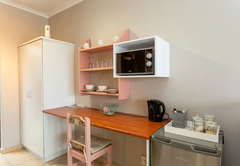 Room facilities include a TV, microwave, coffee corner and bar fridge with honesty snack bar. 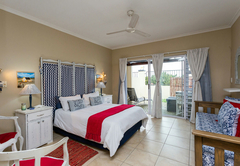 The spacious room has a private patio and is perfect for a little time out and relaxation with peaceful and quiet surroundings. 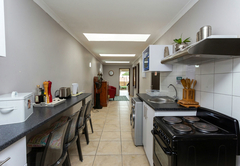 Facilities include a TV, microwave, coffee corner and bar fridge with honesty snack bar. 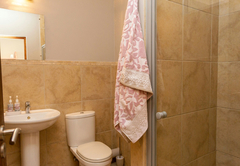 Ebony & Ivory Room is our only wheelchair friendly room with en-suite wheelchair friendly bathroom. 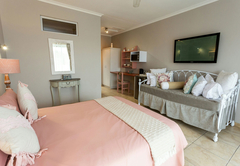 This room has a queen size bed, lots of cupboard space and a daybed for a small adult or child up to the age of 18. 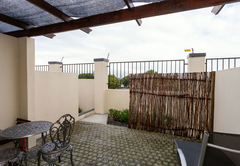 The White House is a lovely sunny room overlooking Table Mountain. 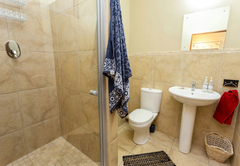 This is also the only room with a full bathroom (bath and shower). 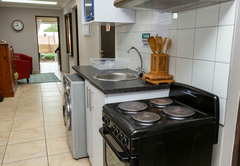 Communal kitchen available for self catering. 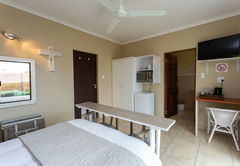 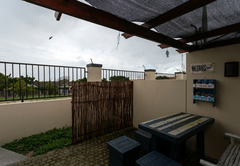 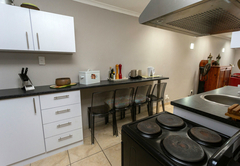 This is a self-catering establishment with a communal braai and kitchen area. 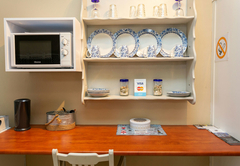 Breakfast is available at an additional charge. 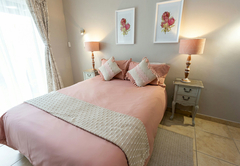 Attractions in the area include ten pin bowling at Grand West, Tyger Valley Shopping Centre and wine tasting at De Grendal. 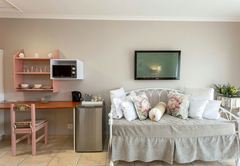 Double bed, TV, Microwave, coffee corner, bar fridge with honesty snack bar: en-suite bathroom (shower only) towels provided. 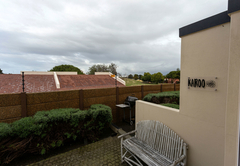 The Karoo room is a small cozy room, with stunning views and a place to relax or have some quiet time to catch up on work. 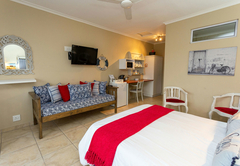 Very spacious room with a private patio, Double bed, daybed suitable for children up to the age of 12 years old, TV, microwave, coffee corner, bar fridge with honesty snack bar: en-suite bathroom (shower only) towels, Tea, and coffee provided. 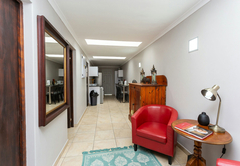 Response time35 on Mentz typically responds to requests in 5-10 minutes.